Despite hearing pleas from community members and receiving hundreds of opposition letters, the Board of State and Community Corrections on Thursday approved a $70 million grant to pay for a massive expansion of the West County Jail in Richmond. The vote was not without controversy: Several board members who ultimately approved the grant suggested that it should never have reached their desk given the amount of opposition to the project. "I'm a little bit frustrated that your leaders have agreed to accept this funding," said BSCC member Jerry Powers, referring to the Contra Costa County's Board of Supervisors' February approval of the grant application. "Our hands are a little bit tied with respect to what you’re asking us to do." The BSCC was charged with evaluating the grant application on standards laid out by Senate Bill 844, which earmarks money for jail construction but does not take into account community opposition. The approved funds will go toward building a new 120,000-square-foot wing at the Richmond jail, including space for 400 beds, mental health facilities, and a child visitation center. For the first time, the Richmond facility will be authorized to house high-risk inmates, a move that will alleviate some of the chronic overcrowding at the dilapidated Martinez facility where they are currently held. In addition to money from the state, the project also requires $25 million from Contra Costa County's general fund and another $5 million per year to operate once completed — money that critics say should be funneled into existing programs that prevent incarceration. For those critics, Thursday's vote marked a disappointing end to months of organizing rallies, campaigns, and public forums against the project. 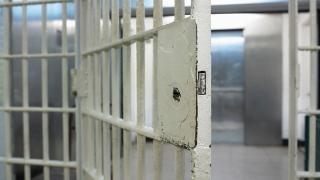 The advocates, who hail from racial justice coalitions, Richmond City Council, and local unions, have long maintained that pouring money into the jail system exacerbates existing racial disparities and is a careless use of scarce county dollars. About 20 community members traveled from the Bay Area to Sacramento to reiterate their opposition on Thursday. "Time and time again, community members have consistently turned out in opposition to this," Richmond City Councilmember Melvin Willis told the BSCC. "We want to see those tax dollars go to other critical services." The critics also lambasted the Sheriff's Office for requesting an expansion grant when it currently receives money for renting out beds to Immigrations and Customs Enforcement. If there are enough beds to rent out, then a massive expansion is not a critical need, they reasoned. Upon hearing those complaints, the BSCC maintained that it was outside their purview. That job, they said, belongs to county leaders. Powers, who offered the most stinging rebukes of county leadership, went on to say that it seemed as if county electeds were "ignoring" and going against "the will" of constituents by submitting the grant application to the board. He called the situation a "head scratcher." Other BSCC members echoed his remarks and said they felt it was their duty, as defined by SB-844, to approve the grant. Contra Costa County's application ranked first out of nine counties seeking funds from the same pool of money, leaving them no choice, they said. In a statement touting the BSCC vote, Sheriff David Livingston, whose office developed the expansion plan, said he looked forward to working with county leaders to move the process forward. The approval was a decisive victory in what has at times been a bitter battle royale between him and cities, such as Richmond and El Cerrito, that oppose the expansion plan. "Our focus will continue to be on reentry services, mental health programs, education and family reunification services," he said. Contra Costa County must now accept the grant, a formality that will likely occur at the next Board of Supervisors meeting on Tuesday. Community members said they plan to attend and urge the electeds to vote down the grant and divert money into the community for a final time.